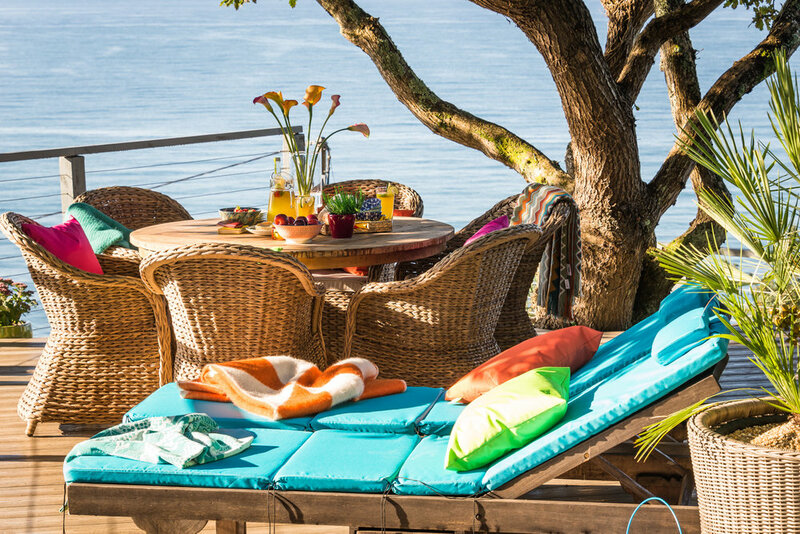 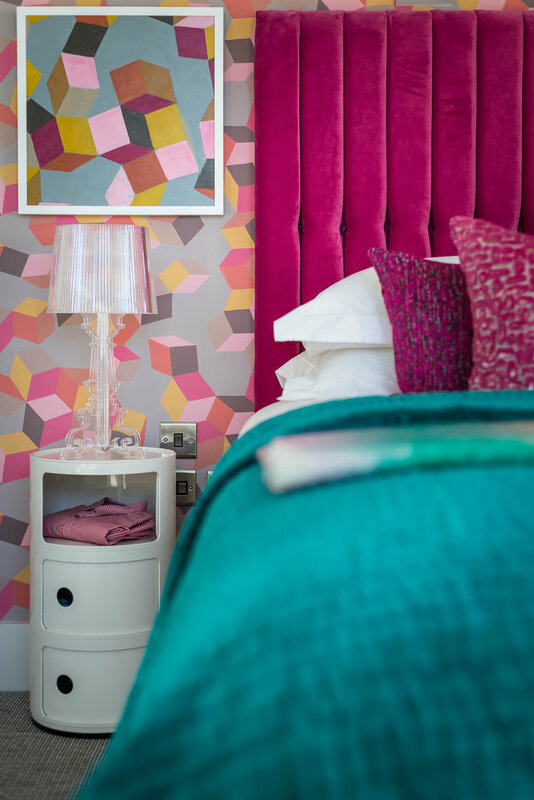 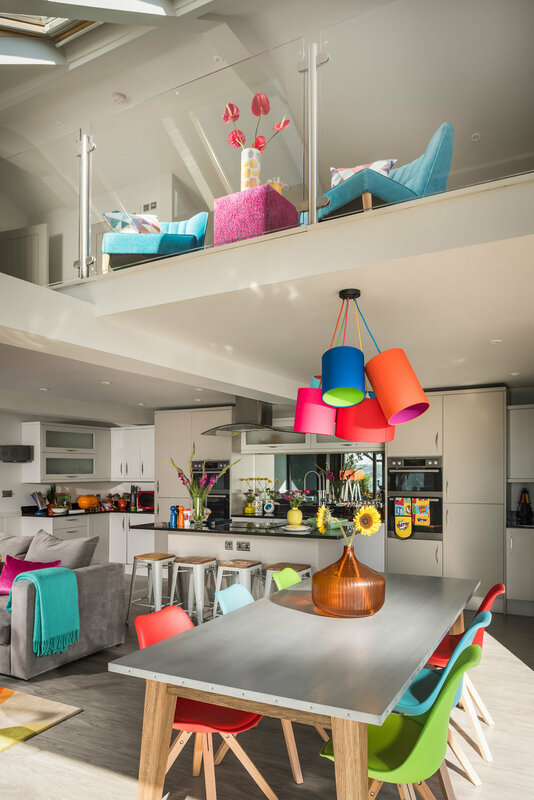 Colourful, pop inspired, seaside retreat. 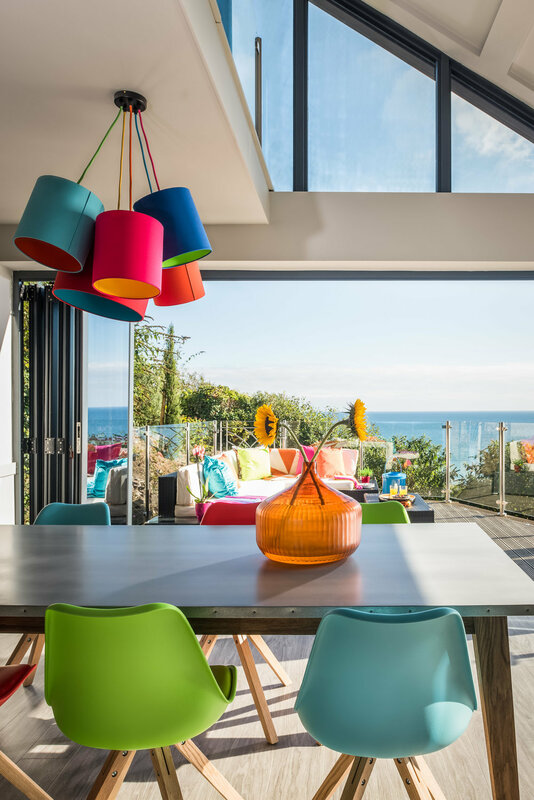 This state of the art contemporary seaside house clings to the Cornish cliffs and brings a whole new direction to coastal interiors. 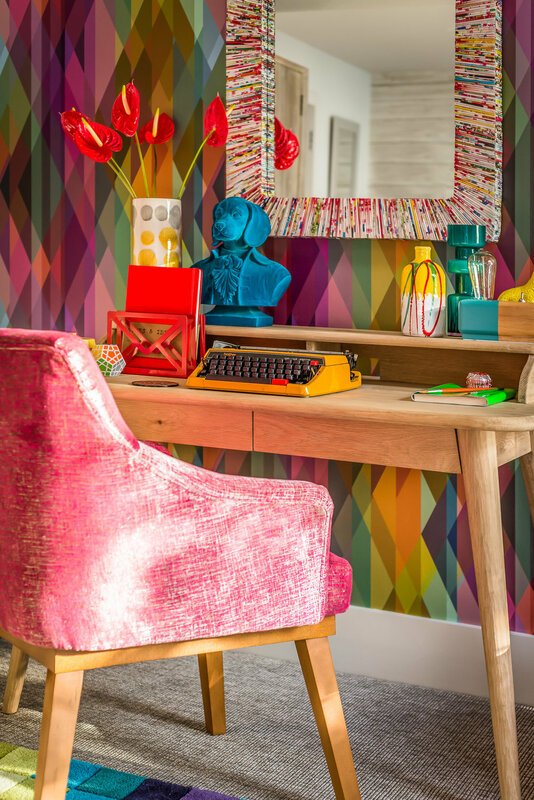 Its punchy colourful pop art interior embraces modernity with a nod to retro and is right up to date with its dramatic styling and crisp clean lines.